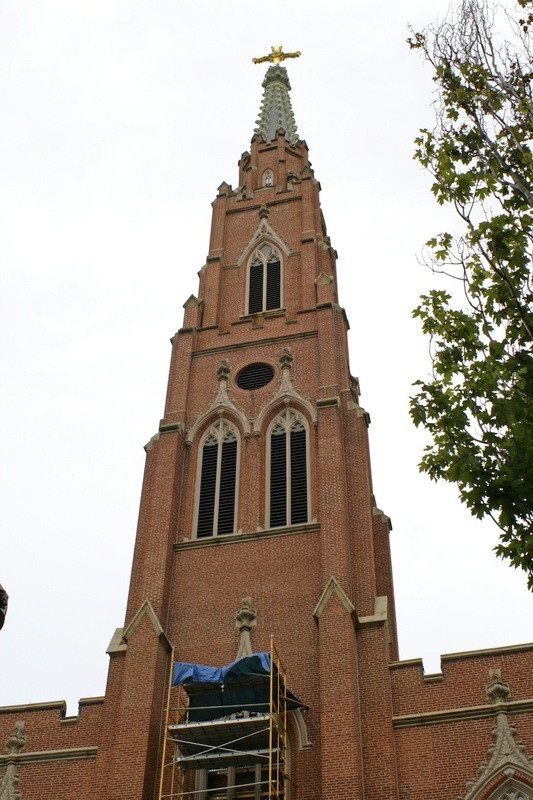 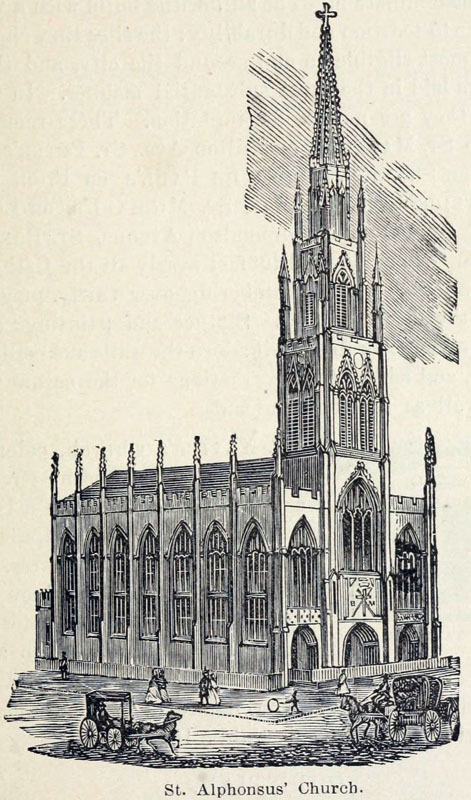 Designed by early Baltimore architect Robert Cary Long in 1845, the St. Alphonsus Church has been called "the German cathedral" for its Southern German neo-Gothic style. 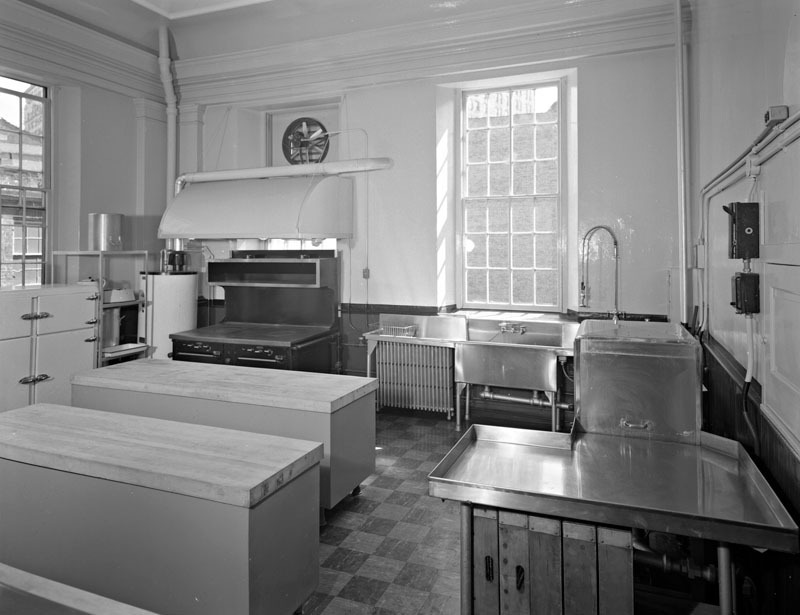 The church was originally established with a large German congregation and the attached rectory functioned as provincial headquarters for the Redemptorist Fathers and Brothers. 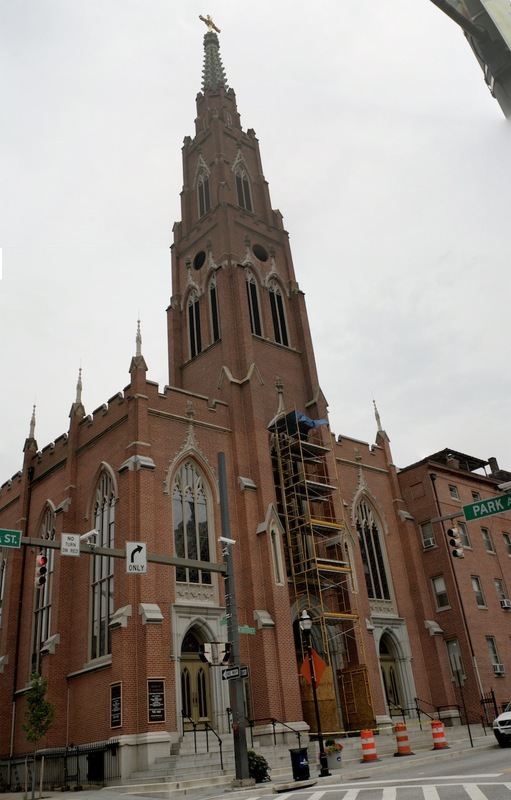 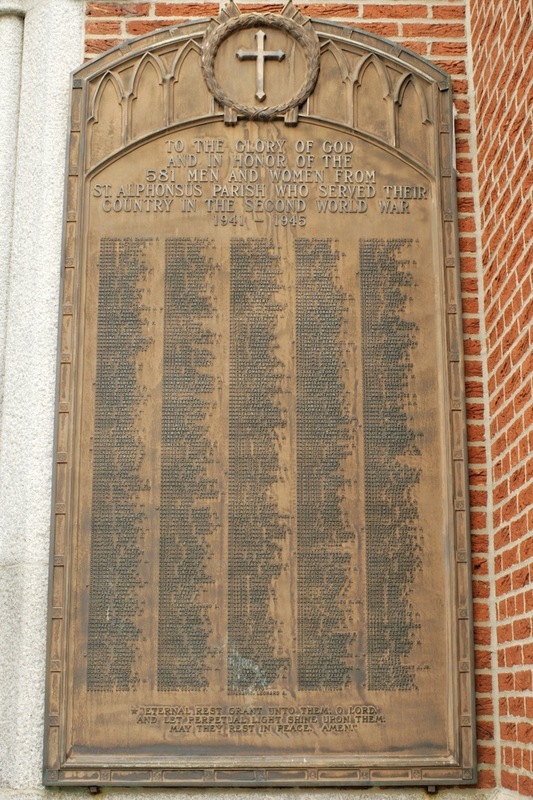 By 1917, the German congregation had largely left the neighborhoods around the church and the building was acquired by the Roman Catholic Lithuanian Parish of Saint John the Baptist. 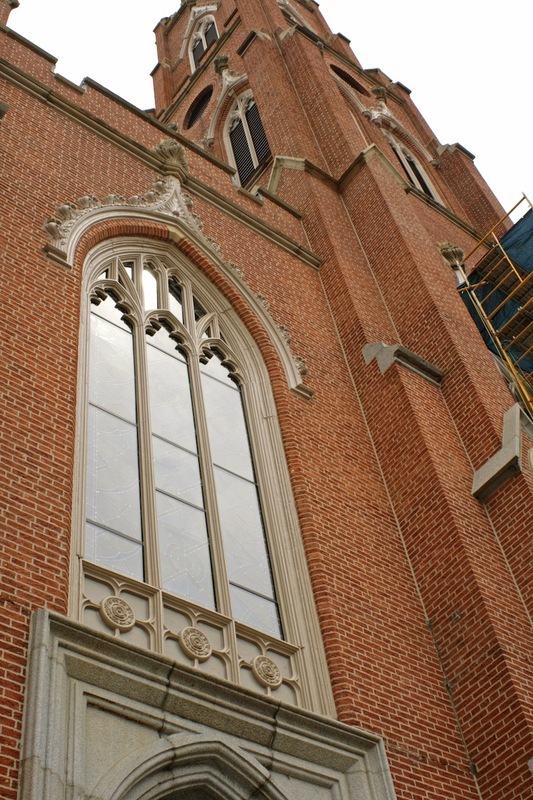 The new congregation took on the historic name of the church and reopened the school in St. Alphonsus Hall, which had been established in l847. 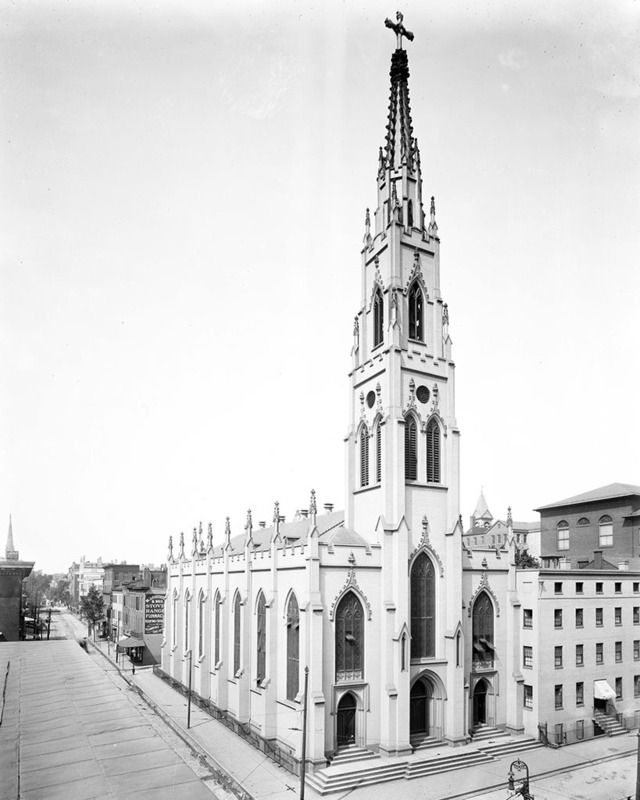 Eli Pousson, “Saint Alphonsus Church,” Explore Baltimore Heritage, accessed April 23, 2019, https://explore.baltimoreheritage.org/items/show/165.